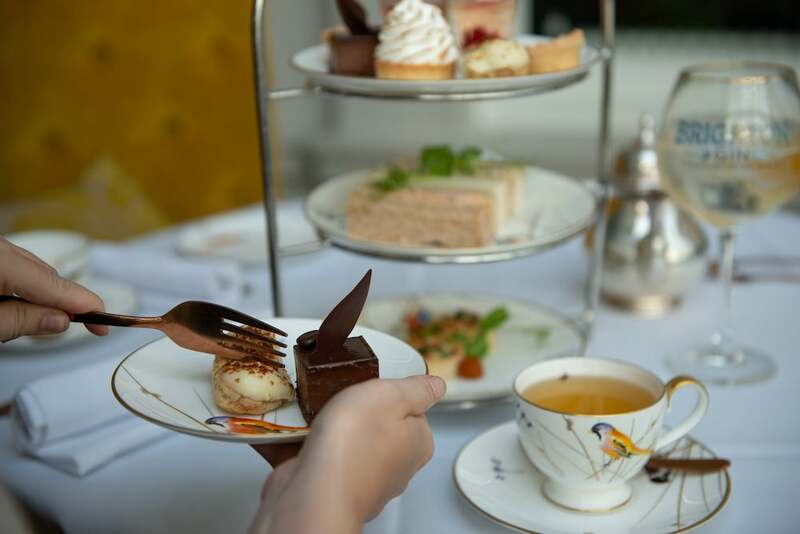 Brighton’s stunning hotel, restaurant and spa, The Grand has a new afternoon tea in town: in collaboration with Brighton Gin, the G&Tea was born for those of us who simply refuse to choose between the two. Needless to say, I grabbed by camera (and my Mum) and took off for a girl’s date at The Grand. 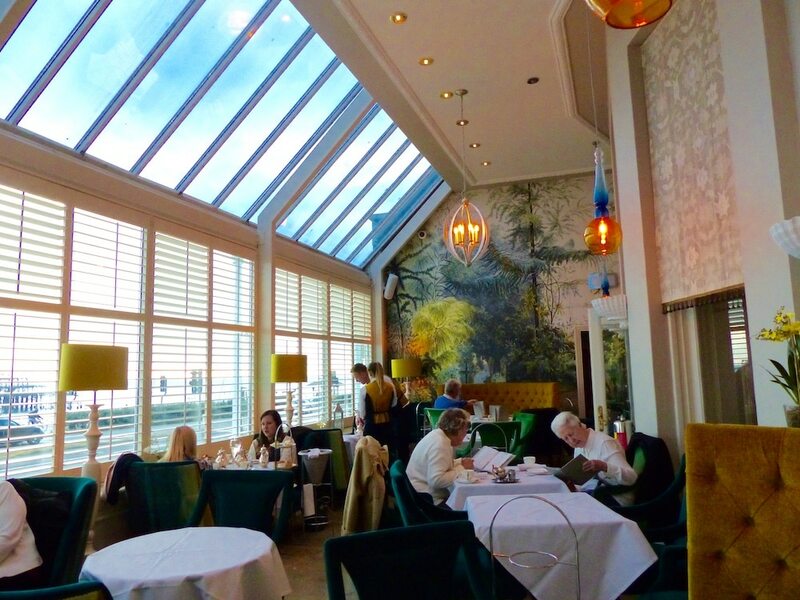 Warm and attentive staff guide us from The Grand’s regal lobby to the bright and seaside-facing Victoria Terrace for afternoon tea. Lounge, bar and home to live music, this dazzling space exudes opulence with vibrant seating and feature wall in sumptuous blues, deep greens and earthy yellows. 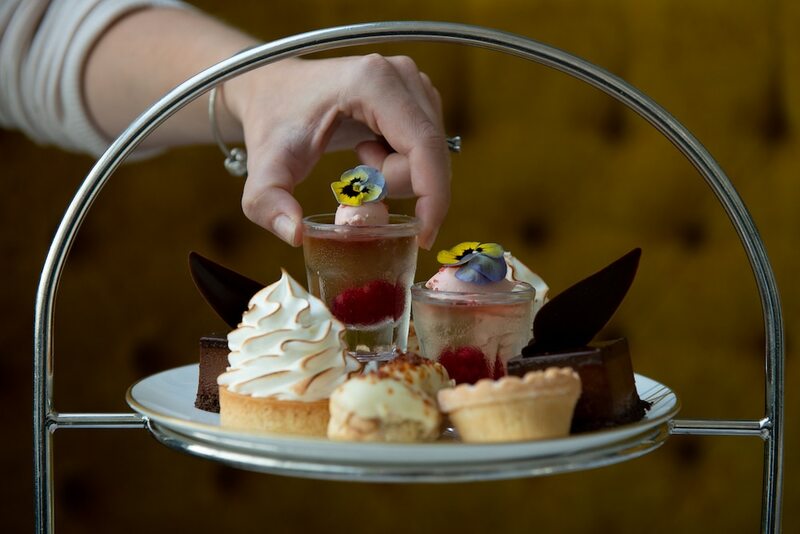 I’m no stranger to afternoon teas, but this one is already feeling a little bit special. 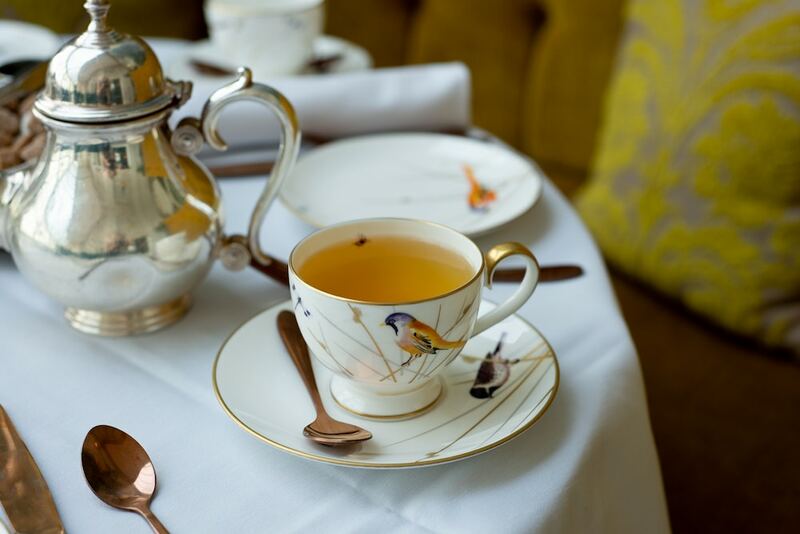 From an extensive range of teas, we select two of The Grand’s own blends: Grand Victoria tea – traditional English breakfast and Darjeeling, and the Signature blend – a citrus and light blend of Earl Grey and orange tea. 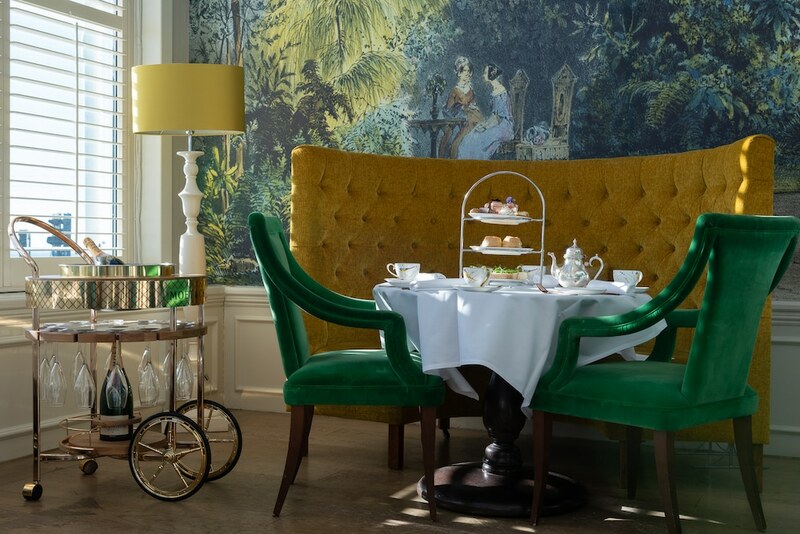 How do you make one of the UK’s best afternoon teas even better? Add gin. Local Brighton Gin. 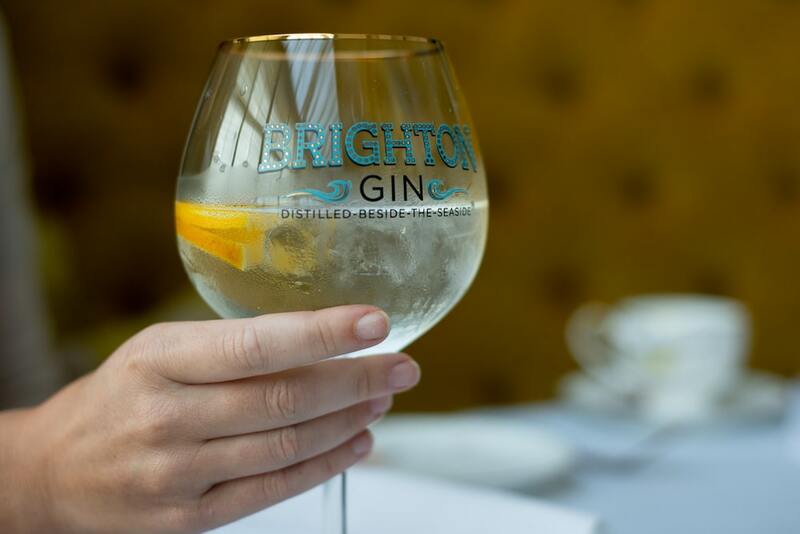 In their short four-year existence, Brighton Gin has won multiple awards for their handmade and distilled-by-the-seaside spirit. Proudly vegan and gluten-free, it’s lovingly distilled with juniper, Sussex coriander seeds, milk thistle, orange and lime. Our gin arrived in fabulously huge balloon glasses with a Brighton-inspired aquamarine design, alongside mint-flavoured Brighton Gin rock and muslin-wrapped bags of juniper berries and other botanicals for garnish-your-own G&T’s! We sip in style and with a swell of local pride – a smooth gin topped with premium tonic, ice and lifted by the citrus additions of freeze-dried orange and lemon slices. 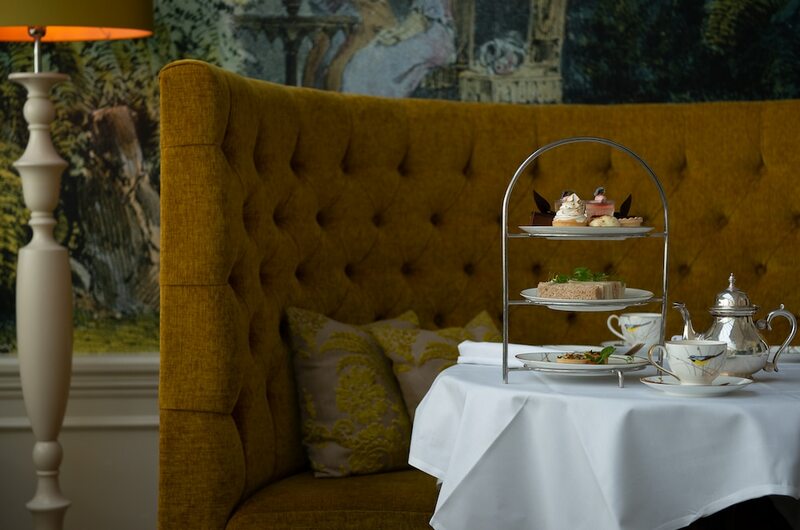 Round one of our afternoon tea begins with savoury tiers of freshly made finger sandwiches and freshly baked warm individual quiches. First, quiche – buttery pastry encasing a spinach and goat’s cheese filling, tempered by the gentle acidity of Heritage tomato chutney. Having never been particularly impressed with quiche in the past, we’re blown away by the balanced but bold flavours of these little tartlets. We move onto a selection of dainty finger sandwiches. An assortment of layered smoked ham, classic cream cheese and cucumber, delicate poached salmon and free-range egg mayonnaise – each on soft white or brown bread, generously filled and as delicious as the last. There’s nothing like warm, freshly baked scones – and what better way to start our three sweet tiers (for those who prefer, you can opt for savoury scones instead!). 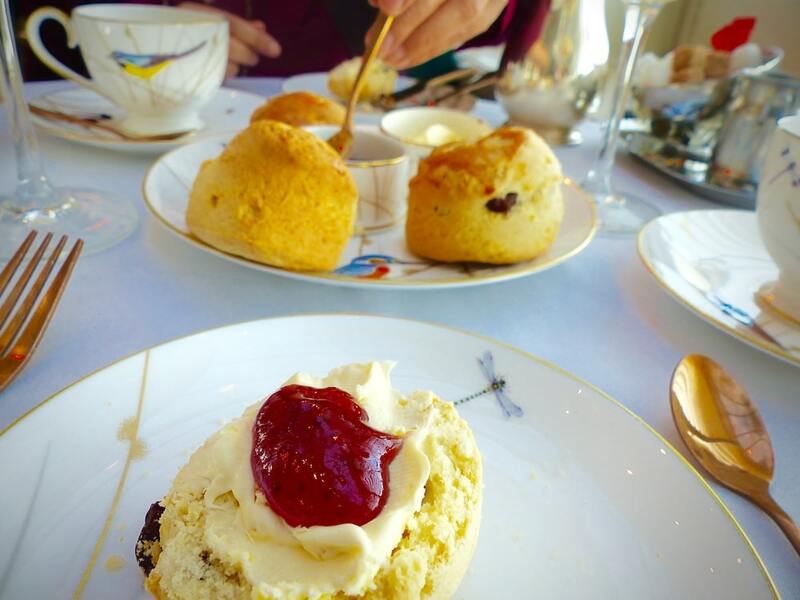 Satisfying our sweet tooth, we smother the crumbly fruit and plain scones with obscene lashings of clotted cream and top with fresh strawberry preserve (the Devonshire style!). By this point, we were definitely struggling. But sips of fragrant tea and breaks admiring the view coaxed us along to our penultimate plate: two large slices of orange and polenta cake, soaked with orange sugar syrup. Next to the scones and delicate pastries, this is arguably the tier you might overlook. But this simple cake’s light and citrussy tang demands attention. No need for extras or fussy decoration here – the flavour does all the talking. So we savoured it in silence and sipped more tea. Created by executive chef Alan White, our top tier was a plate of pastries so pretty, we almost didn’t want to dive in. (Almost). 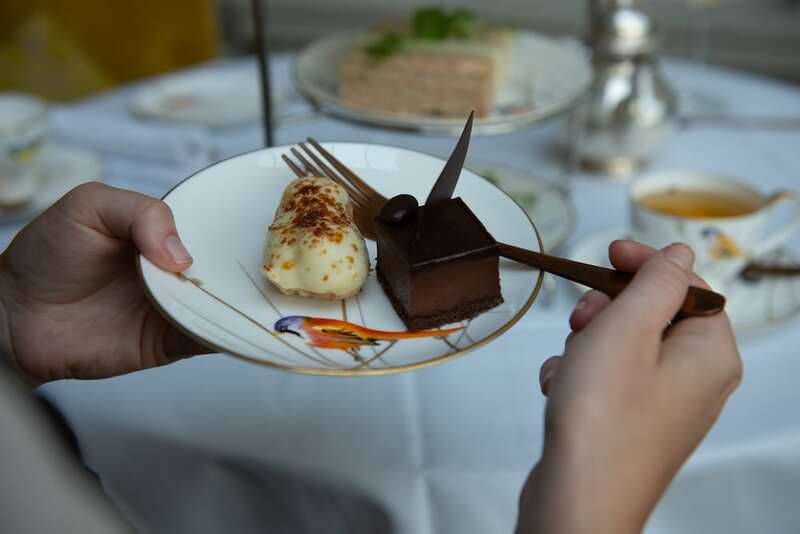 As fellow chocoholics (genetic, I’m sure), the first choice had to be the chocolate and coffee delice – an indulgent square of light chocolate sponge, thick chocolate mousse and a thin layer of dark chocolate ganache, decorated with a coffee bean and tempered chocolate shard. Creamy and decadent, this is one to savour on the spoon. Breaking through a blow-torched swirl of meringue, we moved onto the lemon meringue tart. The soft and gooey meringue was balanced by exquisitely sharp lemon curd and light, buttery pastry. Next onto the white chocolate éclair – little buns of fluffy choux pastry filled with a hazelnut praline mousse for an éclair that melts in the mouth. And finally, the most delicate saved til last – an elegant take on traditional English jelly and cream. A fresh tangy raspberry suspended in translucent sweet elderflower jelly, topped with pastel-pink raspberry cream and edible purple pansies. I didn’t think it possible to have a favourite among these intricate pastries, but this sweet palate cleanser was the perfect end to an indulgent afternoon tea. 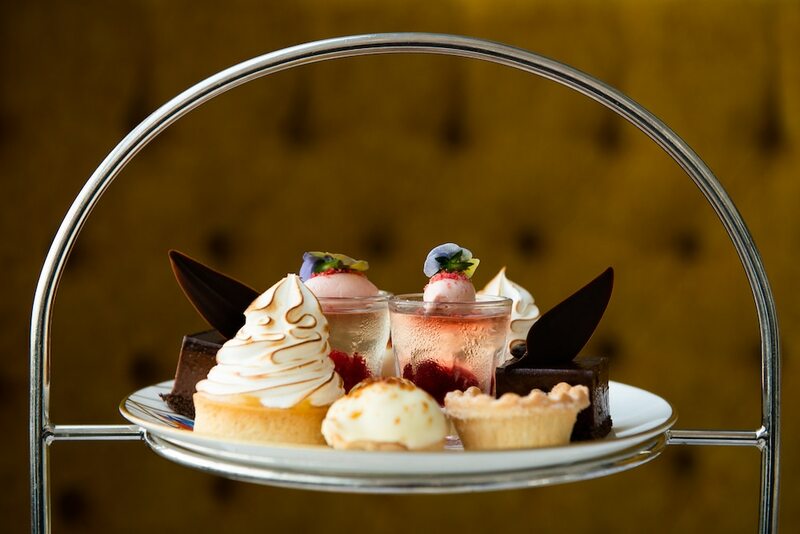 Decadent and indulgent, The Grand’s afternoon tea is nothing short of faultless. 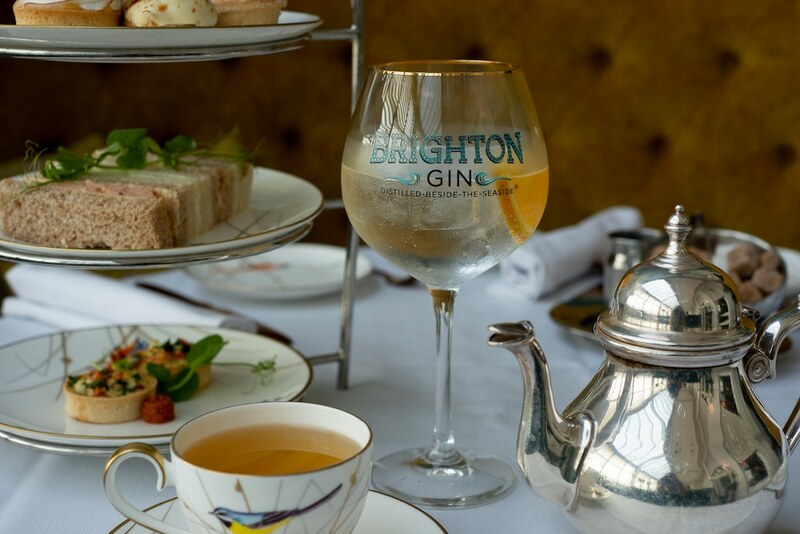 Perfectly paired with the smooth and refreshing Brighton Gin, this ultimate G&Tea is an absolute treat from start to finish. 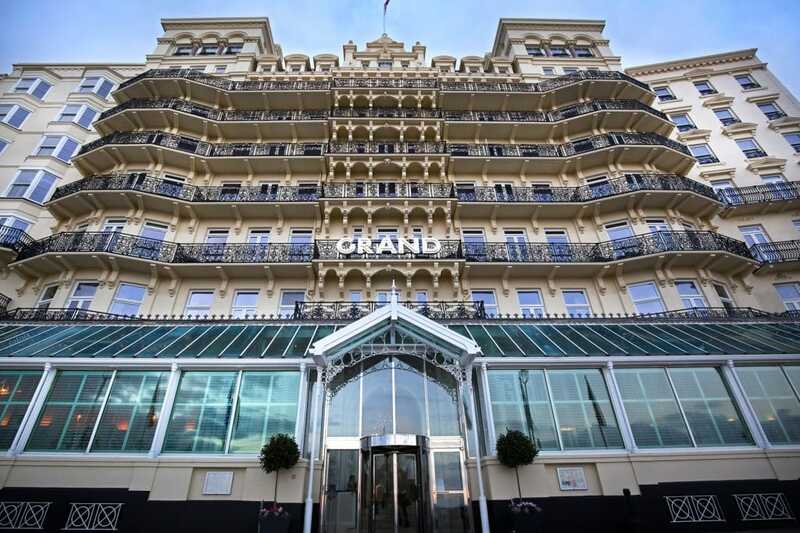 A must for any Brighton-goer, prepare yourselves for an afternoon by the sea with tiers of The Grand’s finest and Brighton Gin’s supreme tipple.